SEATTLE, April 21, 2011 – (NASDAQ: AMZN) – Today Amazon announced an update to Kindle for Android that brings new features and adds support for tablet computers running Android’s Honeycomb, including the Motorola Xoom. 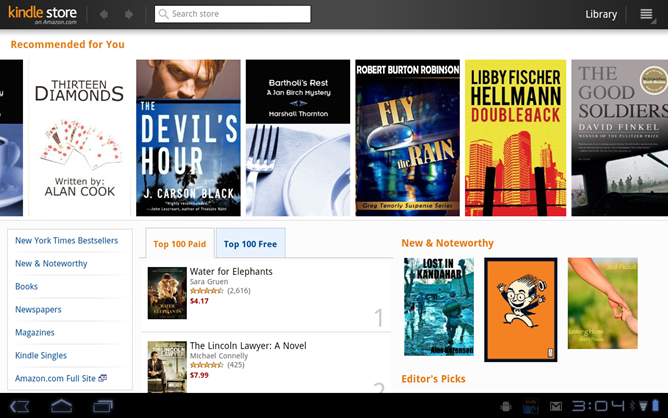 The latest version of Kindle for Android includes an integrated immersive shopping experience tailored for tablets, a new layout for newspapers and magazines designed for the unique interface of Honeycomb, and dozens of other new enhancements that take advantage of the larger screens. Like all Kindle apps, Kindle for Android includes Amazon's Whispersync technology, which saves and synchronizes a customer's books and bookmarks across their Kindle, iPad, iPod touch, iPhone, Mac, PC, BlackBerry, Windows Phone and Android-based phones and tablets. 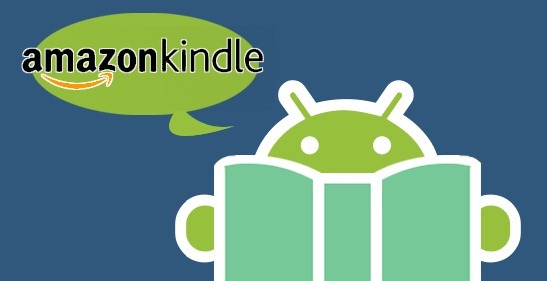 Customers can learn more about Kindle for Android at www.amazon.com/kindleforandroid and download the app from the Amazon Appstore for Android or Android Market. · Enhanced word look-up capability (for Android-based phones and tablets) with built-in dictionary with over 250,000 entries and definitions. For over two years, Amazon has been building and introducing a wide selection of free “Buy Once, Read Everywhere” Kindle apps for iPad, iPod touch, iPhone, Mac, PC, BlackBerry, Windows Phone and Android-based devices that let customers read and sync their reading library, bookmarks, notes, and highlights with the device or platform of their choice. 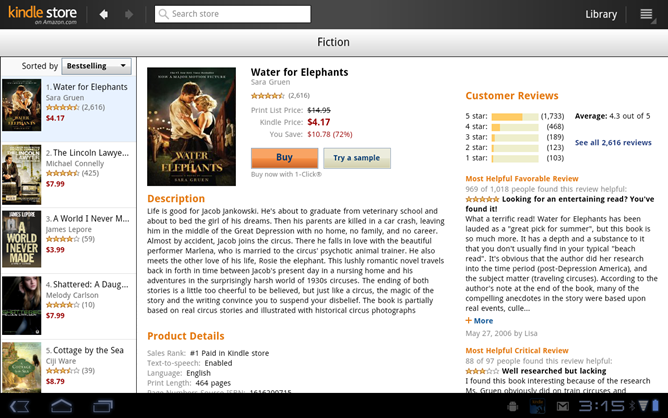 Learn more about Kindle apps at www.amazon.com/kindleapps. 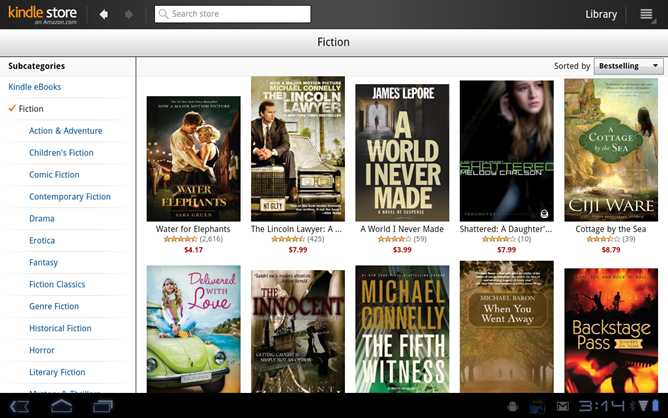 Customers can download Kindle for Android from the Amazon Appstore for Android or Android Market.